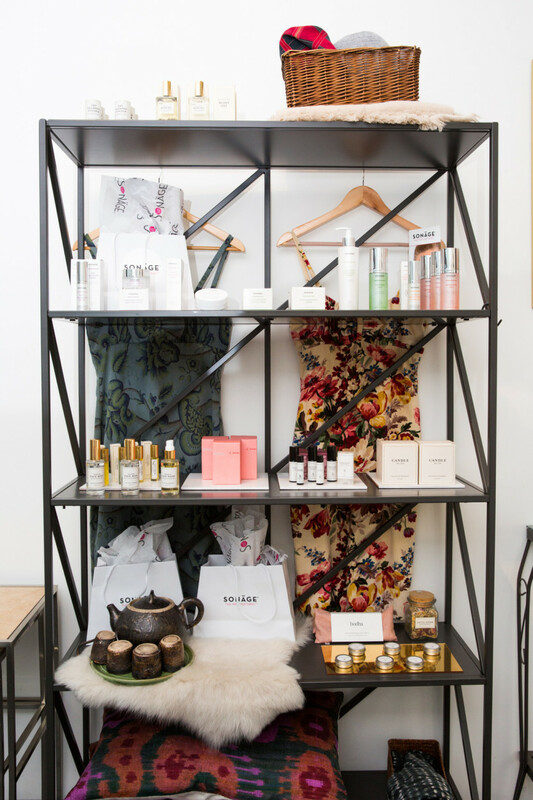 We’re overwhelmed by the whirlwind that is the wellness obsession. Especially now that even Gwyneth herself is getting heavily fact-checked, it seems harder than ever to find what really works. But every now and then we encounter someone whose approach to self-care is so rooted in careful study and practice that it redefines what we believe wellness can be. 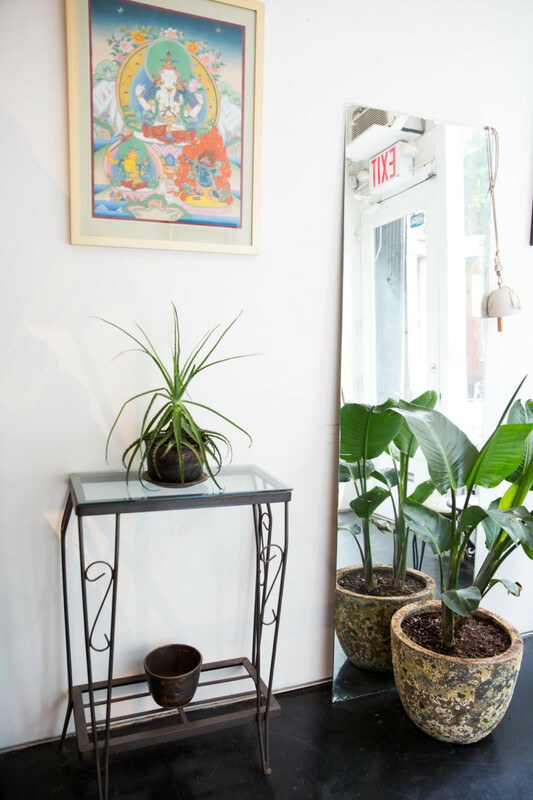 Ayurvedic facialist Sadie Adams is such a person, and when I meet her at Take Care Face & Body in New York’s West Village, it only takes a few minutes of being around her gentle energy to recognize I’m not in store for a traditional facial. I’m visiting the founder of this bicoastal studio, which is described on its website as a “wellness collective of aestheticians, meditation, and movement facilitators, focused on continued education, self-care, and balanced living,” to help combat the persistent swelling on the left side of my face (due in large part to clenching my teeth when I sleep) through one of Adams’ multifaceted treatments. For me, this includes microcurrent, exfoliation, massage to promote lymphatic drainage—which is popular for her many patients who suffer from TMJ—and, of course, energy work. This is where I needed clarification and, after leaving Take Care feeling noticeably brighter (physically and mentally), why I return a few days later to learn more about the more spiritual, less quantifiable part of her business. 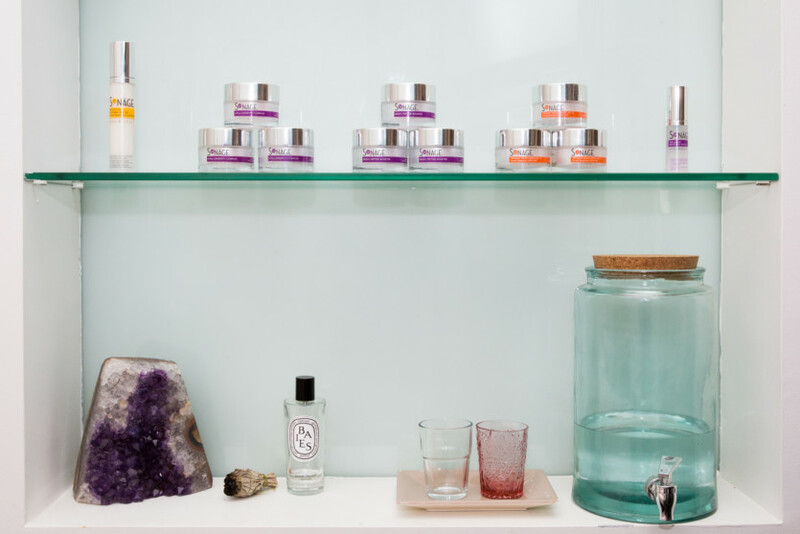 “I think the answer is in the question,” she says quizzically when I ask how Take Care combines different aspects of healing, wellness, and skin care. “There’s a lot of well-cultivated energy work that’s going on. The other day I put my hands on someone, and there was something about her and the way that she’s cultivated herself. It was like my hands were getting a functional upgrade. 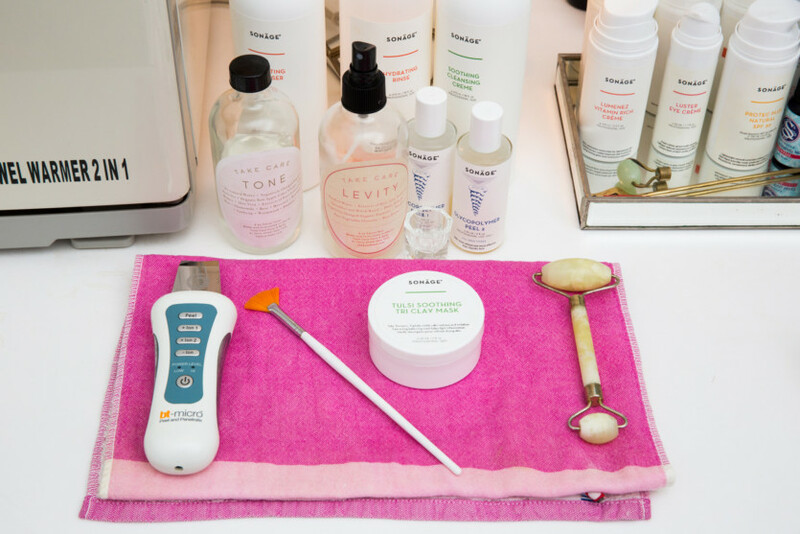 There’s this moment of emerging and being with the client and that relationship showing us what’s most relevant at that time.” I inquire as to how she customizes treatments for her clientele, which includes several top-tier models like Alessandra Ambrosio, Shalom Harlow, Jamie Bochart, and Elise Crombez, all of whom look perpetually glowy. “[We treat] on the basis of supportive regenerations. Regeneration means this moment of rebirthing—realizing we grew ourselves and that we have that medicine inside of us. How we get behind that so that the cells become aware of themselves in a new way, so that the client becomes aware of themselves in a new way. We’re clearing all of the judgment. Just to get to that place of self-acceptance and love. It’s a little confusing,” she says, laughing at my clearly bewildered face. In terms of holistic wellness, while I regularly burn palo santo at my desk to help clear writer’s block, that is the extent of my flirtation with energy cleansing or mindful meditation. “Clients can be referred for different reasons,” she explains after showing us the (replica) human skull she uses for her online teacher training. “I’ve had clients that have called me for shamanic clearing, and I’ve never once advertised anything shamanic. A lot of times it’s energy clearing or TMJ, or they have self-judgment, self-loathing, something they just feel like they need to take the edge off.” I mentally tally the number of times I have felt one of those things in the past week (more than ten, less than 100) and contrast that with how I felt on the train ride home after my first facial with Adams (calm, at ease, bouncy skin). 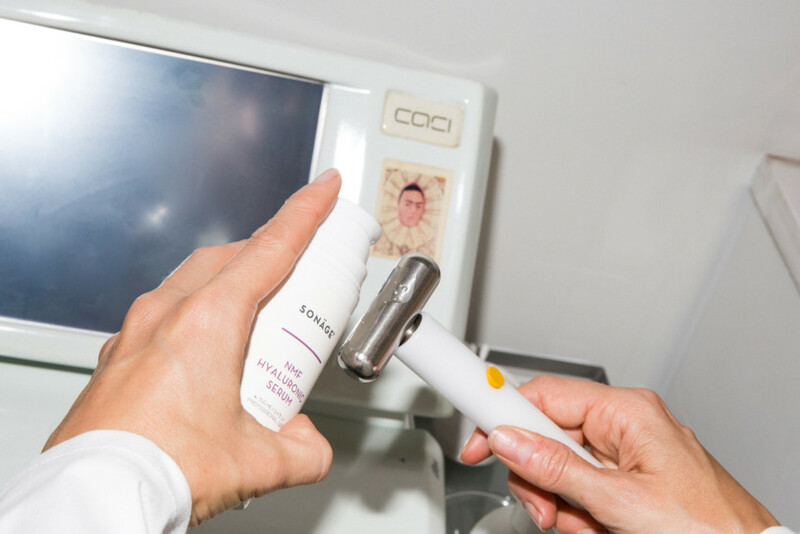 Throughout the hour we spend discussing wellness and skin care, I begin to find the connection between what we typically imagine a facial to be—an hour of relaxing, product-filled interaction between facialist and client—and a guided meditation, both of which are meant to improve your physical, mental, and spiritual well-being. Just like how your self-confidence improves after a really great skin treatment, when you’re genuinely happy, acquaintances will tell you you’re glowing. It’s all intertwined, or at least that’s how I’m interpreting what Adams is saying. I inquire what the ultimate goal is for visitors to her space. “[That] they can walk out and be more consistently behind their heart and their center. They get to choose if they want to come in for TMJ, or a movement session, or a meditation session, or a facial. They’re not being entrained into the homogenized aesthetic consensus view that we’re really bringing into our presence. Sometimes that means to not be on the treatment table at all, [and] just doing some talking and coaching and clearing; finding where the blockages are in the body and giving them tools to actually start to clear that themselves, or teaching them some body work. It’s about the medicine inside.” Whatever it is that Adams is providing, I know I want more of it, soon.